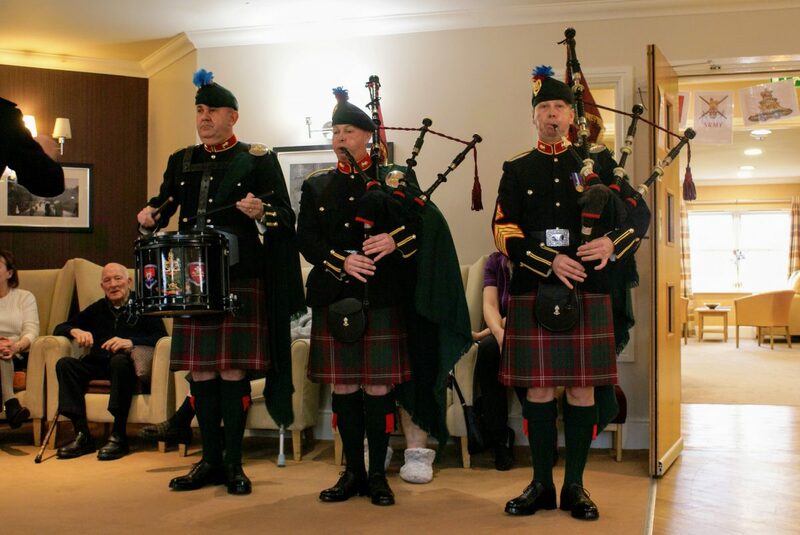 A WWII veteran with no surviving relatives had the surprise of his life when the Royal Artillery Band turned up to play for his 100th birthday. 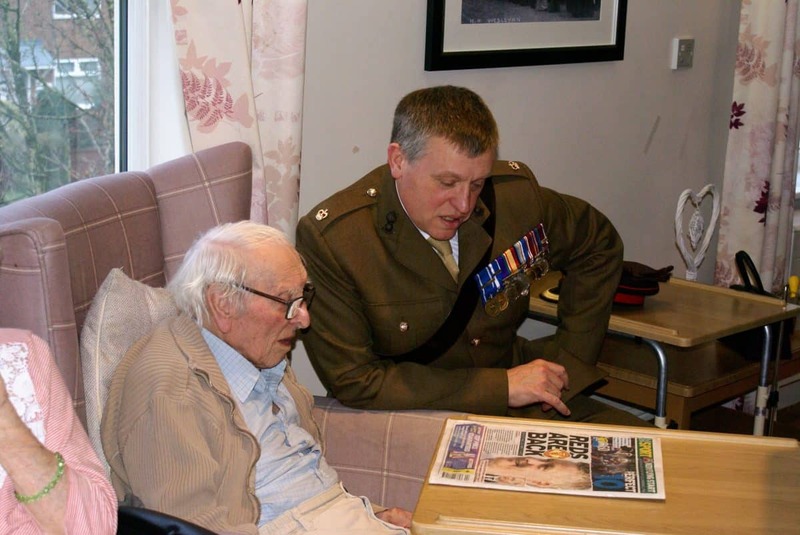 Bob Whent, who was part of the first wave of Normandy Landings in 1944, had already celebrated his birthday with a low key party at his care home on December 27, last year. But when carers at the Lightbowne Hall Care Home in Moston, Manchester, arranged his do, they did not know they would set the ball rolling for a louder, grander affair. 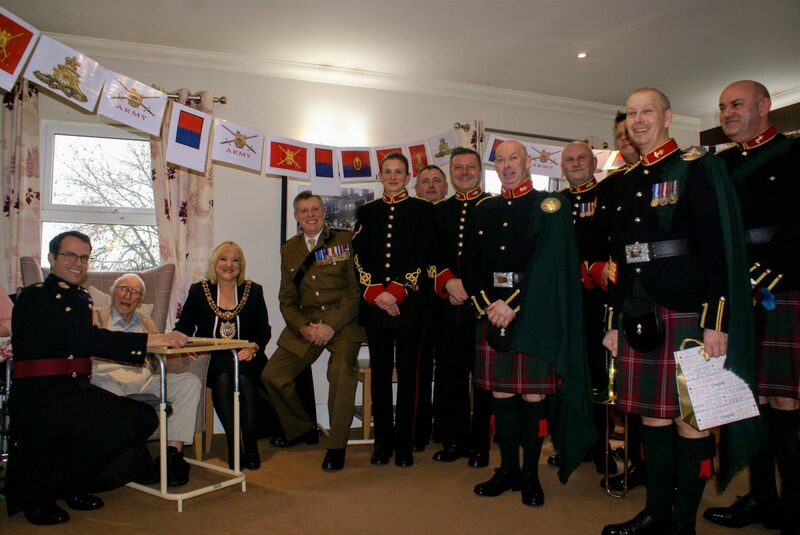 When Lord Mayor June Hitchen came along to present Bob, who served with the Royal Artillery, with his card from the Queen, she heard of Bob’s wartime history and pulled some strings to organise a more fitting celebration. The Mayor’s attendant, Kevin Winyard, a retired PC from Greater Manchester Police, got in touch with his old sergeant, Wes Marchant, who now works for armed forces charity, SSAFA (soldiers, sailors, airmen and families association) to see if they could help. Wes spoke to the CEO of SSAFA, Sir Andrew Gregory, who also, amazingly, served in the Royal Artillery, who then took a particular interest in Bob’s case. 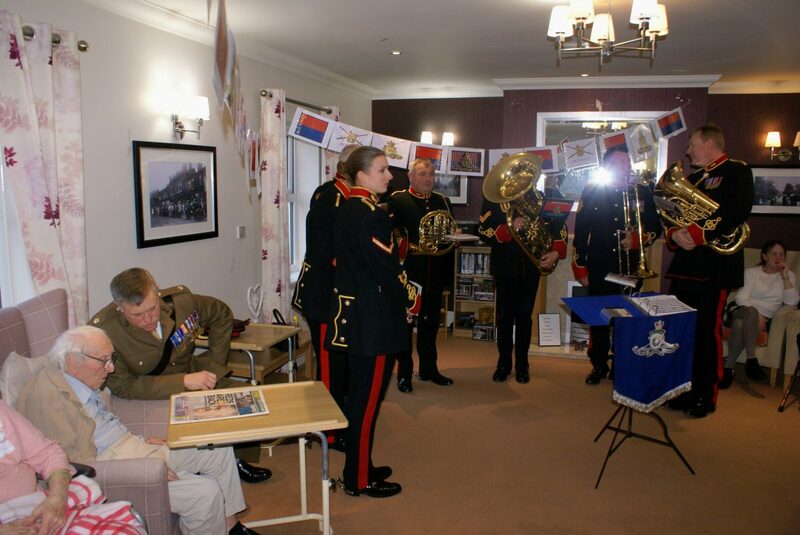 A delighted Bob was treated to a 45 minute concert played by the Royal Artillery Band last Thursday (Jan 24) for him and his fellow residents at his care home. Bob’s face was a picture as they played Happy Birthday, along with the Regimental March, which Bob would have paraded to every morning in his training days, and several wartime songs that got everybody singing and clapping. Care home manager Victor Phiri told how Bob has been at the home since it opened in 2012, so is one of their first residents. Bob never married or had children and has no surviving relatives. He said: “It is thanks to the two carers, Kirsty Gallagher and Sue Thomas, who made sure that Bob had a party to celebrate his 100th that this has all happened. In the end he has had two parties.